The stone carvings in this sculpture gallery are made up of my personal collection of work that I have created over the years, plus some of the works ordered as a commissioned sculpture by my clients. My history of carving stone goes back about 12 years when I got first came across a stone large sculpture symposium and from that time I have been carving and teaching through my night classes and workshops. Which has led to me creating this website. You can follow some of my works on my facebook account. It is a great way to get to know me and dont be afraid leave a comment. But for now, please enjoy the images below. Every once and a while I get approached to carve a commissioned sculpture for a client. my work has been anything from a number of private garden sculptures to a sculpture for a restaurant. All of the works in the commissioned carving gallery below are pieces that were ordered by my clients for there private gardens and business. 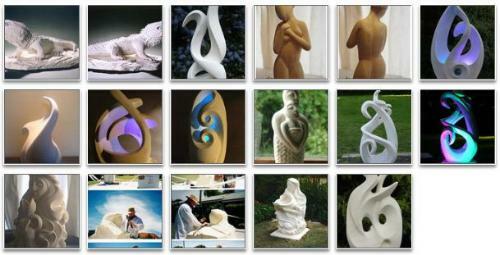 If you are interested in ordering a commissioned sculpture, please fill out the form below.